You are here: Home / Life / Where Were You On September 11? 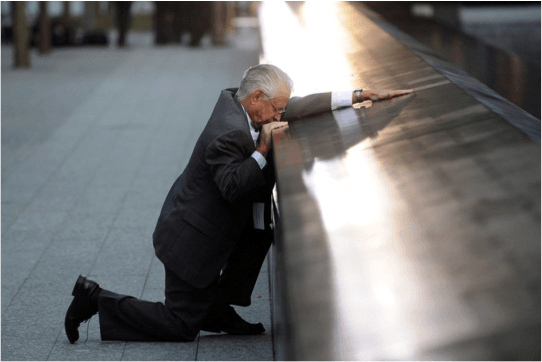 Where Were You On September 11? September 11th. It’s impossible now to look at that date and see just another date on the calendar. The attack on the twin towers affected every part of American life. The fact is, most of our generation was too young to really comprehend the magnitude or the severity of the situation at the time. Every one of my classmates, everyone in the grade above me and below me, everyone in college right now could not have been more than ten years old at the time of the attack. It is said that wisdom is often found coming from the mouths of babes, and we were certainly no older than babes when September 11th became the darkest day on the calendar. We asked several students from around the country to share their stories of 9/11, and what that day felt like as a child. Resilient is a word that is frequently used to describe the strength of Americans after 9/11, and many felt, as Mary Kate did, a strong sense of pride in the nation that began to rebuild itself after such a terrible fall. Still, it’s hard to forget the ever-present state of fear that held this country captive after the news hit the public. One student from Saint Louis University in Ohio recalls her horror when grasping the implication of the attack. Daniela Pineda says, “[O]ver the next few days I watched the news with my parents. I was afraid to get out of bed because I was too scared that there would be another attack.” This technique of suicide bombing is aptly christened a terrorist attack, and it is easy to see how successful the spread of fear was by the fact that even nine-year-old Daniela understood the gravity of the situation. Tell us your story in the comments.